This wooden honey drizzler is designed for serving runny honey or syrup without the drips or spills. 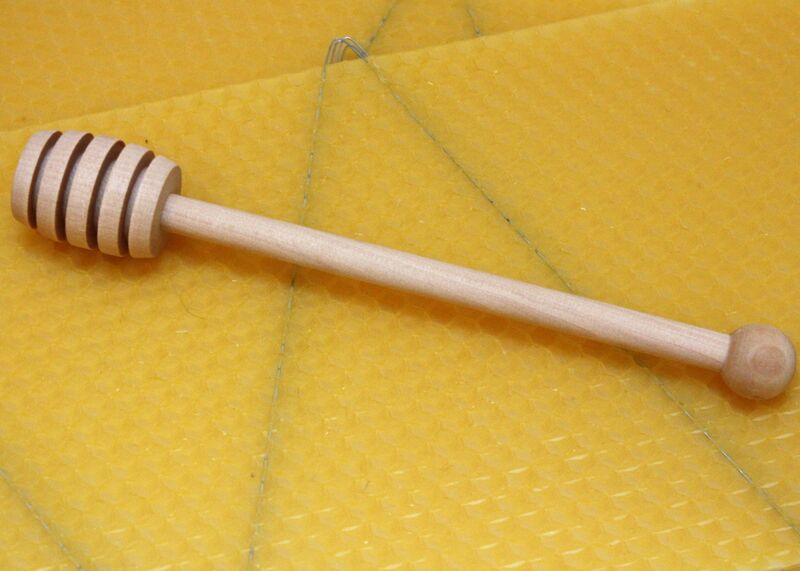 To use the honey dipper lower the grooved end into the honey jar. 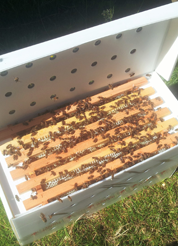 When you lift out gently rotate the drizzler to stop the honey from dripping. When you hold the drizzler over your food stop rotating it and the honey will start to flow again. Gently rotate again and the flow of honey will stop. 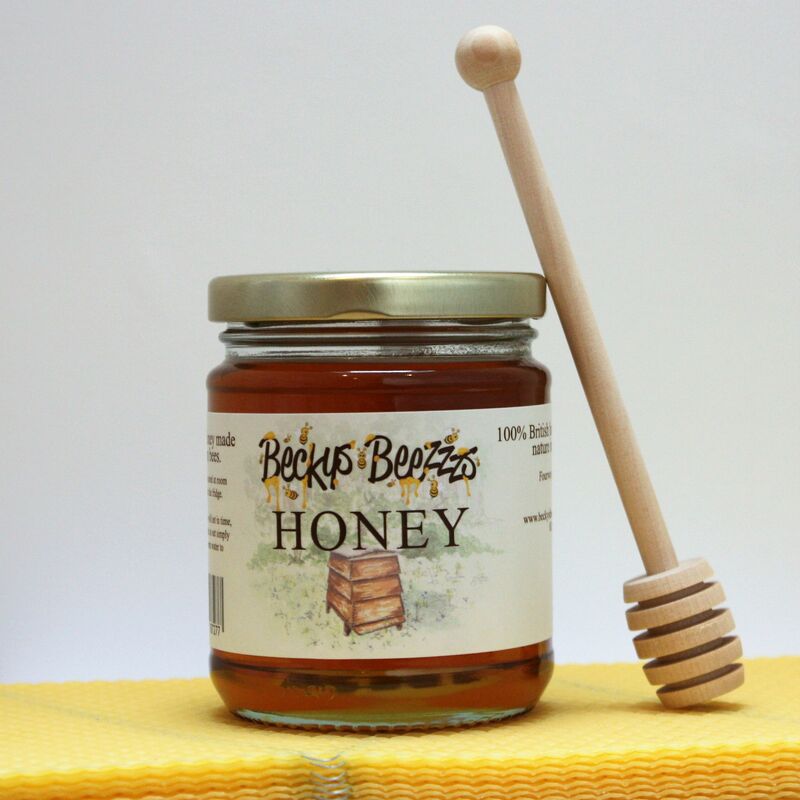 This honey drizzler can be left in your pot of runny honey for the next time you need it or it can be gently washed by hand after use. We do not recommend wooden impliments be put into a dishwasher as they will age quicker.